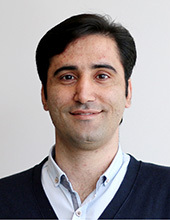 Mehdi is a researcher in food science division and he performs researches mainly focusing on value addition of marine underutilized and complex raw materials using novel techniques including the pH-shift process. Also, trying to develop strategies for application of the recovered high value ingredients in different food products for structure design and improve their functionality or food packaging application. Within the packaging area, researches are mainly focused on the development of marine biopolymers and biodegradable films with the aid of nanotechnology and natural bioactive compounds. There might be more projects where Mehdi Abdollahi participates, but you have to be logged in as a Chalmers employee to see them.